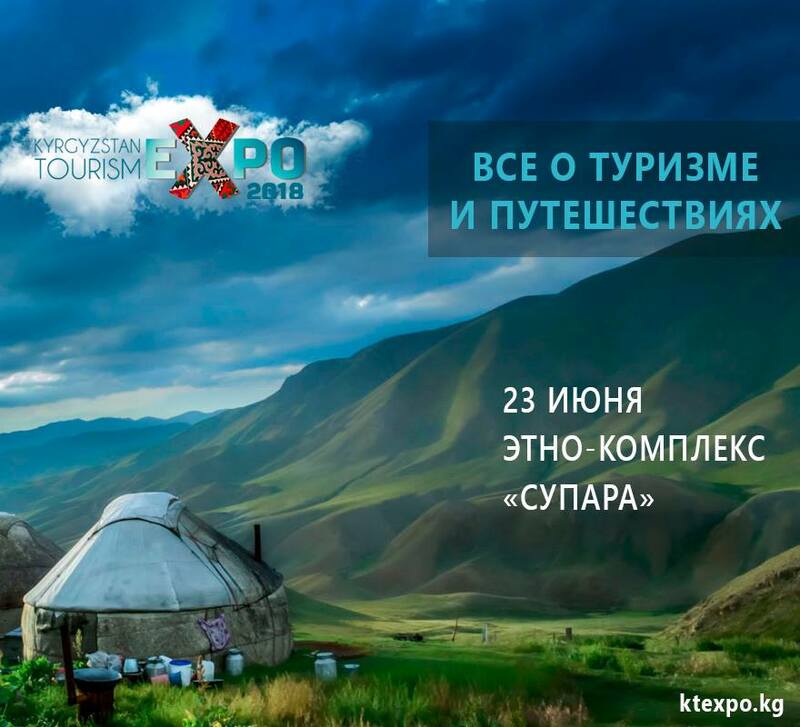 We invite you to participate in the first annual exhibition of tourism services, the Kyrgyzstan Tourism Expo 2018. The exhibition is a platform for local and foreign companies in the field of tourism. An excellent opportunity to assess the needs of the market, explore the competitive environment, find new tools to attract customers and increase profits. One of the main features of the event is the focus on providers of tourism services in remote regions of the Kyrgyz Republic, which are the main and most significant players in the industry. 5. Sale of their services during the exhibition to visitors and guests of the exhibition. * More than 1000 residents and guests of the capital will visit the exhibition to get acquainted with the tourist market and will be able to purchase vouchers both to the regions of Kyrgyzstan and abroad. 1st Kyrgyzstan Tourism Expo. All about tourism and travels. 23rd of June, 2018, Ethno-complex Supara. 10:00-18:00. Represent your tourism related business or be a guest and learn about new and traditional tourism services and attractions within and beyond Kyrgyzstan. The Kyrgyzstan Tourism Expo 2018 is all about tourism and travels. The Tourism Expo 2018 has 70 tourism related companies exhibiting, including those from Osh, Batken, Naryn, Issik-kul and Talas. The Tourism Expo 2018 has Uzbekistan and Turkey embassies representing their countries’ tourism sights. The Tourism Expo 2018 has Japanese and UAE ambassadors visiting as guests and meeting the participants and guests. All Shows and master-classes in one day and all for free.